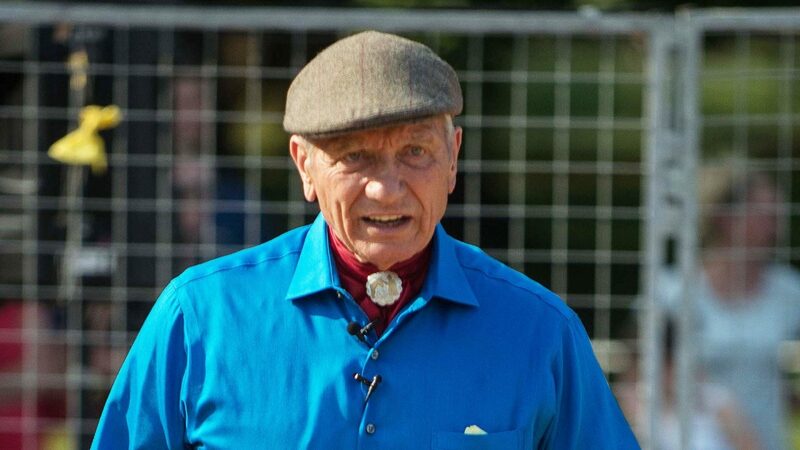 Monty Roberts is «the man who listens to horses». The book about his life took the world by storm and was at the top of New York Times’ best seller list for more than a year. Monty Roberts states that his goal is to leave this world a better place for both horses and humans than when he entered it. Monty has visited Norway three times before and this coming February the horsing legend is back. The 83-year-old has traveled around the globe the last 30 years representing his own unique method, «Join Up». The method is based on that the horse chooses you as a leader and partner when you show that you understand the horse’s own language. As a young boy, Monty spent his days, weeks and months with wild horses and taught himself «Equus», which is a name he has given horses’ language. When he many years later was invited to Windsor Castle by Queen Elizabeth, a fairytale and a journey commenced. A journey about one thing only: To communicate with the horse in its own language. He displays a fantastic and unique ability to communicate with horses and people. Use this fantastic chance in February to experience the legend’s way of thinking and methods to understand and be understood by your horse. See you at Norway Horse Festival!